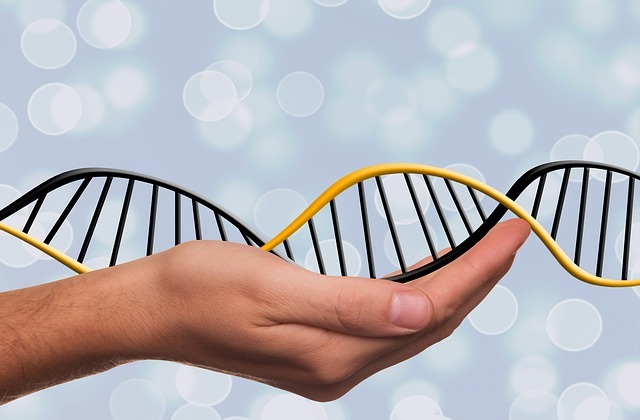 Epigenetics – You can re-write your future! Many people believe that they are completely defined, limited and even imprisoned by the deck of genetic cards they were dealt at birth. You often hear people exclaim that because their parents or grandparents had diabetes, heart disease or some form of cancer, they would be likely to develop the same problems. It’s even worse when people discover that they have some genetic predisposition, like the ‘BRCA’ gene in women that may possibly cause them to develop breast cancer. This makes these women feel like they have no choice but to opt for some medical intervention that can compromise their health or be they may even be coerced into surrendering their vital body parts to surgical mutilation for fear of what “may” happen. The study of how our diet, stress management abilities and exercise levels affect our genetic expression is called epigenetics. It is this relatively new field of science that clearly demonstrates that we are most definitely NOT at the mercy of our genetic inheritance and we can take steps – easily, simply and sustainably - to protect our health. Routine, healthy lifestyle choices - especially plant-based, whole-food nutrition, stress management techniques and physical activity can dramatically alter how genes function and may reduce our physical deterioration, and morbidity from heart disease, cancer, immune disorders, and depression while even slowing down the aging process. Conversely, risky lifestyle choices can ultimately promote similar disease and breakdown in different people regardless of their genetic backgrounds. Examples of this are the growing pandemics of obesity, heart disease, colon and reproductive cancers in Japan, China and other parts of Asia, which did not exist when those people were eating more of their ancestral, plant-based diets. However as these people continue to saturate their diets with more animal protein, saturated fat, dairy products and refined sugar - similar to people in Western nations - they continue to develop the same devastating chronic diseases despite their obvious genetic differences from non-Asians living in the West. Remember: Research is showing time and again that a plant-based whole-foods diet is the safest, most health-promoting way to eat. There are plenty of resources on the internet that you can refer to if you’d like to know more about transitioning to this way to eating. Check the Physician’s Committee for Responsible Medicine (PCRM.org). This is a super site full of information about vegan eating, recipes, and support with learning how to make the change to plant-based eating, easily and safely and much more. Stress management techniques promote well-established epigenetic effects on genes associated with disease and aging. There are repeating units of DNA (telomeres) at the ends of chromosomes that protect and stabilise chromosomes and genes during the process of cell division and growth. These telomeres are like the hard cap (aglet) at the end of shoelaces that protect the shoelace from fraying and falling apart. However, these telomere caps shorten and are worn away by the cumulative effects of cell division as a cell ages and moves toward death. A good way of conceptualising this is if you imagine taking a photocopy of a photocopy – repeatedly - and how the image degrades over time. The enzyme ‘telomerase’ is responsible for the lengthening of telomeres when our DNA is replicated during the growth and repair of cells. And, the shortening of telomeres and a reduction in telomerase are associated with aging. Chronic stress promotes shortening of telomeres and a decrease in the activity of the enzyme telomerase. Telomere length and telomerase activity were measured in white blood cells of mothers taking care of chronically ill children and compared to mothers of healthy children. The longer a woman spent looking after a sick child the more stressed she was and the shorter were her telomeres. In the most stressed out women, their telomere shortening and decreased telomerase activity suggested that they had aged at least ten years more than the least stressed women of similar chronological age. The good news is that the practice of even short periods of routine meditation and stress management activity can dramatically reduce the impact of stress, improve mental health, and reduce the genetic aging process. In one recent experiment, caregivers of dementia patients suffering with symptoms of depression had significant increases in telomerase activity following just 12 minutes of daily meditation for 8 weeks. This increase in telomerase activity was accompanied by improvement of mental and cognitive function as well as a decrease in the symptoms of depression. Take home message: Visit RelaxationResponse.org/steps for complete (and free) instructions for how to do Dr Herbert Benson’s “Relaxation Response” meditation. It is the most thoroughly scientifically studied form of meditation that has been shown time and again to improve health on all levels, mentally, physically, emotionally, spiritually – and reverse ageing in various ways including the lengthening of our telomeres. Exercise creates an epigenetic effect with respect to our metabolism. This can improve both muscle growth and stamina. Exercise has also been shown to promote the genetic production of chemicals that stabilise telomeres and slow down the aging process. Therefore, people who exercise more consistently are more likely to decrease the shortening of their telomeres and have telomeres that are less ravaged by time and aging compared to people who are more sedentary. In a 2013 study, women who participated in 129 minutes of exercise a week for 6 months, compared to women doing just 21 minutes per week, had 43 genes that showed significant changes. Three of these genes were directly correlated with an increased survival from breast cancer. Patients who exercised longer had a greater expression of tumor suppressor genes, resulting in more than a 60% reduction in the risk of breast cancer death compared to the limited exercise group. Exercise regularly and mix it up: weight and resistance training, walking and mind/body work – including yoga, tai chi, qigong are all wonderful genetic manipulators! Finally - Your genetic blueprint can predispose you to any number of positive and negative conditions and changes. But what you choose to do, and the environment that you create on a routine basis in your life, goes a long way to determining how your genetic background expresses itself and whether any of your negative predispositions become concrete outcomes. You don’t have to drown in your own gene pool! Visit the British Society for Lifestyle Medicine (BSLM.info) for great information on all aspects of healthy living and holistic anti-ageing, and information about how to train to become a BSLM Lifestyle Medicine Consultant.